CJs Ranch is owned and operated by Cathy and Larry Hill and promotes a holistic approach to building relationships between horse and rider. Brought up in an environment that fostered her love and appreciation for horses, Cathy is a lifelong rider with a large repertoire of interests and skills and a host of awards for barrel-racing and competition. 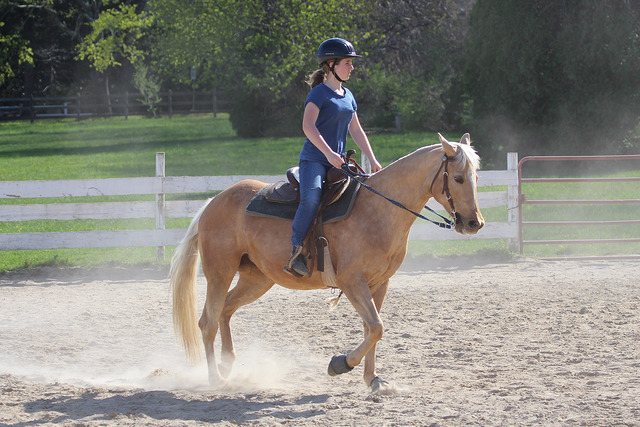 A highly respected professional horse trainer, Cathy thrives on challenges, working with – and repairing – “problem” horses that others have long since given up on. The impressive results of these projects can be seen around the barn at CJs Ranch, and at countless private barns up and down the East coast – living proof of Cathy’s horsemanship, expert training skills, and instinctive rapport with these complex animals. 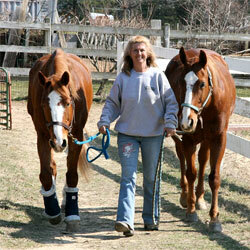 Cathy is a Mass licensed instructor and trains riders of all ages, interests, and ability levels, providing skilled guidance and imparting a unique understanding of horse/rider interaction from the horse’s perspective. For nineteen years, CJs Ranch has been helping to establish an essential connection between the horse and rider that results in a strong and safe relationship. To foster this special relationship, we enable interaction at every possible point, teaching basic grooming and tacking skills in addition to proper riding technique. The core of our philosophy, though, goes beyond the “mechanics” of riding – and promotes an understanding of the horse from its point of view.